Micology Routes Designing in order to develop micological related turism. Forest management plans focused on mushroom production, in order to develope a wild mushroom harvest industry on private or public land. Participation in collaborative projects abroad for growing mushrooms on organic waste substrates into easy farms. And the harvest and management of edible wild mushrooms with economic value that fruis naturally in every area. 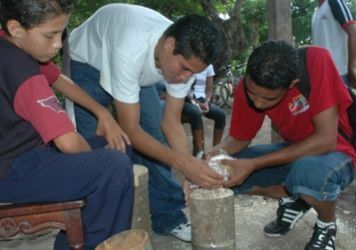 Cultivo de hongos y desarrollo rural en Nicaragua y Hongos silvestres en Guatemala. Projects development for the construction of mushrooms farms to grow Oyster mushroom or Shiitake on sawdust substrate or on logs. Technical advice and training in mushroom farming.